Russia has been involved in all manner of nefarious activity on the international stage and they’ve gotten away with it. The U.S. has a mechanism for addressing it: the US State Department’s “State Sponsors of Terrorism” list. Countries put onto the SST list are automatically subject to sanctions and consequences. Experts say Russia has long deserved to be on the list, and it’s time to stop giving them a break and making excuses for them. 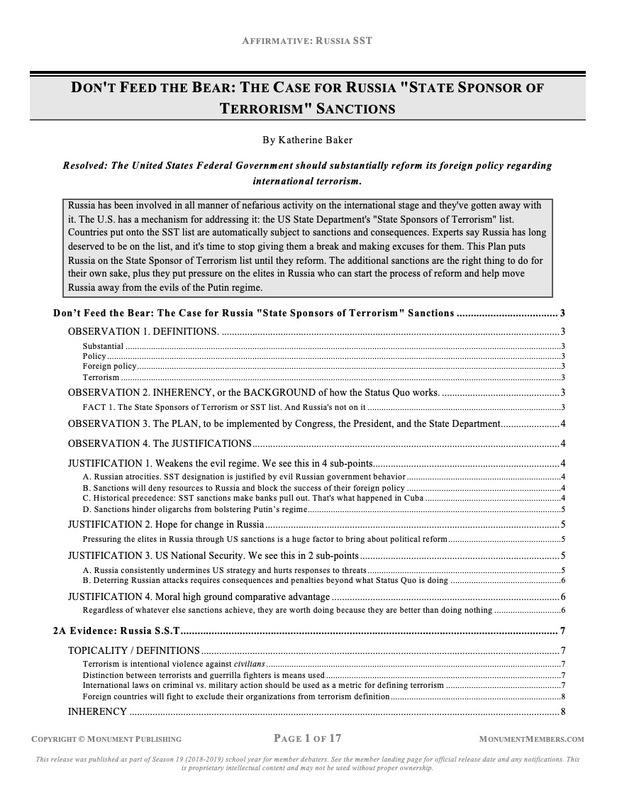 This Plan puts Russia on the State Sponsor of Terrorism list until they reform. The additional sanctions are the right thing to do for their own sake, plus they put pressure on the elites in Russia who can start the process of reform and help move Russia away from the evils of the Putin regime.